I think Wexford have a savage opportunity to progress into the last four this weekend. They are motoring along nicely and had a handy enough win against Westmeath. Clare on the other hand are coming off their second successive Munster final defeat. Last year against Tipperary we saw how they struggled subsequently in the quarter-finals. Davy Fitzgerald up against his native county adds a little extra bite to the game in Páirc Uí Chaoimh. It might be at the back of his mind, but I don’t see it seeping into the players thoughts. Davy doesn’t strike me as the kind of guy who would let that happen. He is getting the very best out of this Wexford team; there is a system and everyone is on board. They never seem to waver from the sweeper system and Shaun Murphy plays the role incredibly well. I think they are being underestimated in some quarters. Four games in a row caught up with the Yellowbellies in Nowlan Park in the Leinster round-robin, but we saw for 50 minutes in that game how good that Wexford team is. They were nine points up five minutes into the second half. People seem to be forgetting about that. If I was managing a team against Clare, John Conlon is the first player I’d be looking to curtail. We saw how effective the Clonlara man was against Cork, taking the Rebel defence to the clearners when he was getting good delivery. Unfortunately for the Banner, it dried up after the break. 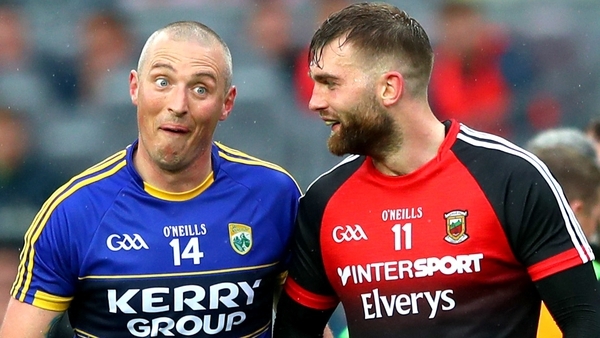 John has always been a really good player for Clare, but this year he has gone to a new level and is now at the peak of his powers. In my mind he’s a front runner for Hurler of the Year with the form he has shown. 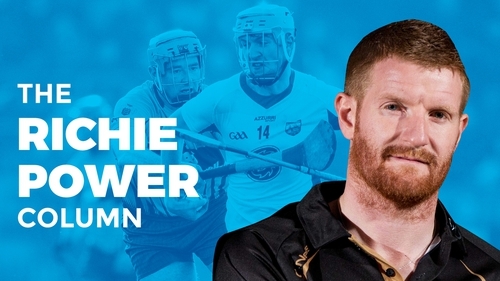 "The one thing that Brian Cody always said to us with Kilkenny was that hurling is just a sport, a hobby. It’s not your job, it’s not your family"
I found it interesting that he revealed in the lead-up to the Munster Final of being too consumed with hurling when he started out with Clare. In a way, it becomes a bit of an obsession to strengthen your position on the panel and team. The one thing that Brian Cody always said to us with Kilkenny was that hurling is just a sport, a hobby. It’s not your job, it’s not your family. He fully understood that there is a life outside of hurling. That was always the feeling within the set-up. That’s what got the best out of the players. I can’t think of any Kilkenny player who got so obsessed he put his life on hold. I also read how he now blends his food because he struggled with his digestive system. Everyone is different. I was never one to really focus a massive amount on nutrition. Blending food may have been the answer for John, but that won’t be the case with every player. Though if it has helped to elevate him to this level, other players might look to something similar. Funnily enough, Wexford possess a man who could curb his physical and scoring threat. Liam Ryan has been one of the best full-backs in the country for the past three years. I wouldn’t be worried about him picking up Clare's main targetman, and he will have a little bit of a comfort that Shaun Murphy is going to be there in front of him. If Wexford can curtail him, they have a massive chance, and with the system they play, they should be able to do that. One way of playing against the sweeper is to play to the corners, so maybe Clare might station him in the wide channels if the middle becomes congested. Davy is building nicely and there is the added incentive with Clare in opposition. If they can put the shackles on Conlon, I’d back them to get over the line. The second quarter-final between Limerick and Kilkenny is harder to call. I was so proud of the fight and courage Kilkenny showed last Sunday, that never-say-die attitude. That opening 25 minutes by Galway was the best hurling I have seen this year. It took the fright of the week before to get them to that level and strengthened my opinion that they took Kilkenny for granted the first day. Maybe that was a missed opportunity for the Cats. Looking at it from a black and amber perspective, my main worry would be the physical toll of the past two weekends. A lot of people underestimate what the intense heat takes out of the body. To turn around now and face into an up-and-coming, strong Limerick side is a tall order. The loss of Walter Walsh is a huge blow for Brian Cody, a go-to man for the past few seasons. This however could open the door for Colin Fennelly or Richie Hogan to start. Limerick are coming into the game in a better position after easing to victory over Carlow, pretty much in second gear. Kilkenny are undoubtedly battle-hardened. If they can dig deep and maybe drag Limerick into a battle, I would back the Cats to emerge victorious. Limerick will be looking to spread the ball wide and keep it open. Just a few weeks ago, the Treaty men were being touted as All-Ireland contenders until they shipped a heavy defeat to Clare. It was a poor performance, but they have it out of their system now and will relish taking on Kilkenny. "My head says a fresher Limerick to advance"
Limerick haven’t come out the right side in this game since 1973, so belief will be an obvious factor, but this is a more mature side. If Kilkenny have recovered and start well in Thurles, I think they will win. Otherwise, my head says a fresher Limerick to advance. Then again, another draw in this year’s Championship could well be on the cards.